**Stunning oversize boxset (12"x12") - Includes a 154 page book with original documents, full colour photos and scores; a set of 16 full colour inserts reproducing the original posters and programs of the Annual Avant Garde Festival of New York. Limited to 500 copies** "It is certainly surprising that until now an exhaustive recognition of the work of Charlotte Moorman has not been undertaken. The cellist can be numbered among the most charismatic and influential protagonists to have appeared on the avant-garde or experimental music scenes since the early '60s. A documentation of her activities as a performer is generally available only in various catalogues which document the crucial intersection with the work of Nam June Paik, or the association with manifestations and events connected with the so exquisitely realistic gestures of the Fluxus movement. To have accepted the transformation of herself into a 'living icon' through the works realized in collaboration with Paik, has perhaps contributed to obscure a part of her individuality. As Giuseppe Chiari correctly noted, in a text which is authoritatively integrated into the documentation provided by the present publication, Charlotte Moorman's oeuvre can in fact be sympathetically felt only in the absolutely 'unique' character of her interpretative gesture, a character which justly identifies her originality, her capacity of an authentic 'author.' The presence of Charlotte Moorman as catalyst must be realized in such an evaluation. Cello Anthology is a collection of documents -- sonic and photographic -- as well as original texts and testimonials, made available for the first time in a unitary form, which permits a complete recognition of Charlotte Moorman's work. The biography and chronology faithfully reproduce the materials that the artist herself had ordered in booklet form. The range of her activity not only as an interpreter, but also as a promoter of the avant-garde artistic research progressively open to intersecting with the most varied disciplines -- from music to sound and concrete poetry, from visual and plastic art to cinema and to video art -- is moreover reconstructed through an unpublished text with which Charlotte Moorman meant to review the history of the fifteen editions of the New York Avant Garde Festival she organized between 1963 and 1980. At the core of her uninterrupted performative activity, here documented across a rich iconographic apparatus ordered chronologically, the works realized in collaboration with Nam June Paik doubtless represent a culminating moment in her striking career. It therefore seemed appropriate to also integrate the transcription of the primary texts and documents pertaining to them, to better perceive to what extent the aesthetic project of the Korean artist was indissolubly bound to the peculiar 'corporeality' of the cellist's performance 'gesture' and to her absolutely unique capacity of translating the musical experience within the limits of her own non-exchangeable physical presence. Giuseppe Chiari's affectionate testimony dedicated to the faithful interpreter of some of his most important works of the early '60s -- works which affirmed the Florentine artist on the international scene -- and the reprint of Gisela Gronemeyer's poignant essay dedicated to Charlotte Moorman, likewise offer a useful explanatory setting for the introduction of these copious texts and documents. Indeed, for the first time, the work of Charlotte Moorman can be appreciated by means of a significant selection of vintage recordings. The first two CDs highlight a pair of exceptional documents -- a performance recorded by radio station WBAI in New York on 12 September 1964, and a concert from 25 July 1966 in the Theatersaal in Aachen, Germany. These events superbly represent the type of repertoire that Moorman and Paik cultivated and proposed in the U.S. and Europe, in the years following their meeting, in their memorable 'duo' exhibitions. The programs of the two concerts present several homogeneous choices and others more clearly divergent. The Aachen event, in fact, is testimony to the progressive and always more pronounced emergence of meta-musical elements deliberately turned toward the demystification of 'ritualistic' meanings of a concert, even while consciously accepting it as an exhibition frame. It is for this reason that the Aachen recording can document, with respect to the comprehensive programme, only those works in which the sound matrix constitutes the prominent factor. This is particularly evident, beyond several tried and true war-horses of their exhibitions which recur or are distributed equally in both concerts ('26'1.1499" for a String Player' by John Cage, 'Duet II' by Toshi Ichiyanagi and two works by Giuseppe Chiari: 'Per Arco' and 'Ave Maria di Schubert,' both of which were written for the cellist and dedicated to her), in the premiere of Earle Brown's 'Synergy,' a rare and delightful duet with Terry Jennings on saxophone, an almost systematic version of 'Plus Minus' by Karlheinz Stockhausen aided by Paik's Robot in the WBAI concert, as well as, in the Aachen concert 'Sonata No. 1 for Adults Only' and especially the first performance of 'Opera Sextronique,' both by Paik, in addition to other pieces by Earle Brown and Sylvano Bussotti. The second disc includes another unspecified rendering of Ichiyanagi's 'Duet II' and an abbreviated version of 'Cage's 2'1.1499" for a String Player.' Of the famous 'TV Cello' -- conceived by Paik for Moorman as a 'living sculpture' -- the third CD offers an in situ recording realized on one of the three days inaugurating the Paik retrospective at the Museum of Contemporary Art in Chicago, on 11, 12 and 14 September 1982. This version contains respectively the 'TV Cello Duets' with Paul Garrin and the 'Concerto for TV Cello and Videotapes,' largely improvised, 'including a tape collage by Ornette Coleman prepared for Charlotte, also talking with audience.' The fourth CD restores three other documents, collateral but definitely not secondary. One happy example is a choral work performed on 3 September 1964, during the second New York Avant Garde Festival, a performance of Jackson Mac Low's composition 'The Long Hot Summer,' sees in an exceptional reunion the names of Charlotte Moorman, Nam June Paik, Benjamin Patterson, Philip Corner, and Malcolm Goldstein, as well as Mac Low himself. On the relevance of this performance, distinguished by a marked ethico-political intonation and valence, Philip Corner dwells extensively in an unpublished text printed here as an attachment to the sonic documentation. The voice of Charlotte Moorman, characterized by her unmistakable vital charge, is brought back to us through a long and meaningful interview conducted by Harvey Matusow in October of 1969 in the BBC New York Studios. 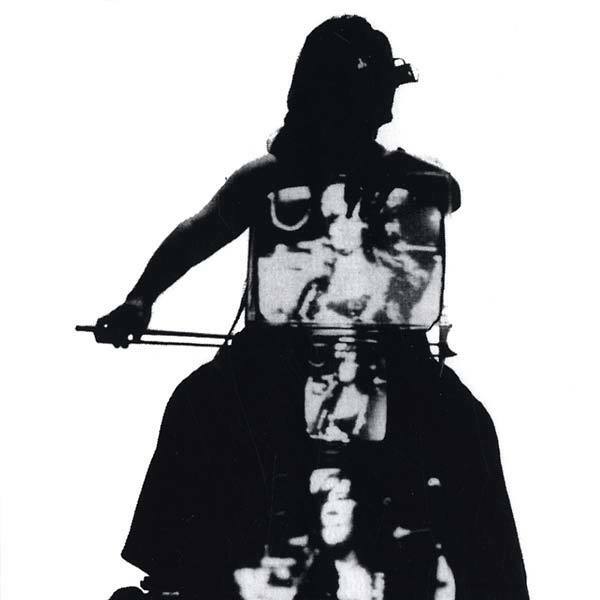 The soundtrack of the video 'Waiting for Commercials,' realized by Paik in 1972 in collaboration with Russel Connor, whose sound collage integrates musical insertions by Charlotte Moorman and David Behrman, completes the anthology put together and offered here. Luxury edition including a 154-page book with original documents, full color photos and scores; a set of 16 full color inserts reproducing the original posters and programs of the Annual Avant Garde Festival of New York; 4 compact discs. First boxset edition limited to 500 copies."